I would watch Elizabeth Banks in anything. She always brings something interesting to every role she plays and is often the best thing about her films. 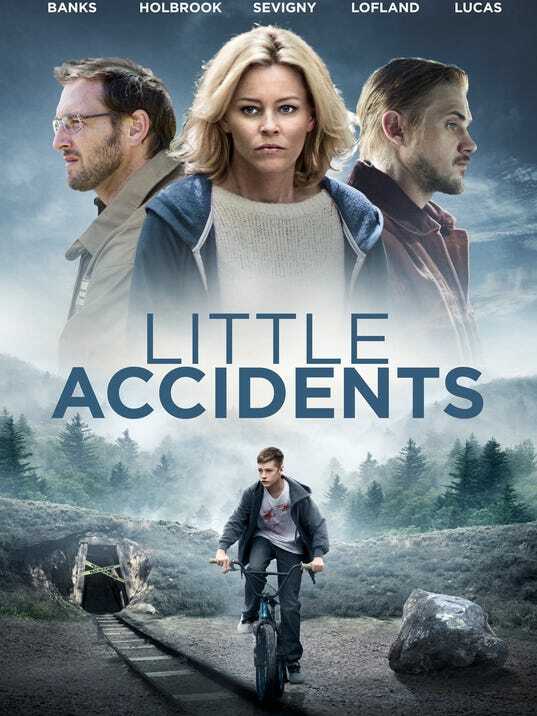 But even another reliably compelling Elizabeth Banks performance couldn't hide the flaws in Sara Colangelo's 2014 indie drama "Little Accidents". Based on her previous short of the same name, Colangelo sets her film in a small mining town in rural America. The plot begins in the aftermath of a terrible tragedy, as a mining accident has claimed the lives of many of its workers, leaving a lone survivor. As the community searches for answers, they place the blame on the big shot executive of the mine for his negligence. Meanwhile, his own family is suffering through heartbreak, as his son goes missing during all the drama. Soon, tensions and suspicions arise, with far-reaching effects on several individuals. A world of lies and deceit threatens to reveal itself and irreparably alter this community forever. In its first scenes, "Little Accidents" sets up a tantalizing exploration of distrust, class conflict and morality. As the town's inhabitants point fingers at her family, Elizabeth Banks turns in a strong performance as the distraught Diane, mother of the missing boy. As she deals with the grief of an increasingly dire situation, it's fascinating to watch her interact with similarly affected locals. One of those is Owen Briggs, played by Jacob Lofland (clearly the go-to person for such redneck child parts). Briggs is the son of one of the perished victims and he finds himself in a sticky situation that links him to Diane in unfortunate ways. As the secret gradually eats away at his conscience, the film promises a powerful climax as the investigation into the various crimes starts to find answers. But rather than focus on the psychological intrigue of these various characters, "Little Accidents" decides to stray into unnecessary subplots, the worst of which is a love affair which adds nothing of value. While the film benefits from strong atmospherics, doubling down on bleakness and the stale air of a mining town with few possibilities, the script comes across as unfinished. Still, the film's skilled cast (namely Banks, Lofland and Boyd Holbrook as the surviving miner) manage to fill in the missing pieces with their deeply felt performances. If only they were actually given fully developed character arcs to work with, this could have been a special film indeed. Colangelo displays a good grasp of mood and tone in her direction, but this first screenplay falls way short of the experienced mastery of its talented ensemble. I often feel bad for Banks, because she wants so desperately to be a film star and yet she's never really proved successful, outside of some people praising her character work in the Hunger Games movies. She was so good on Scrubs and is far better suited to television, in my eyes.